There are many International and Local FX Brokers available online to choose start trading but the main things is you need to choose the right one. Before choosing a broker, there are 9 criteria to evaluate them which you need to follow to be aware of scam out there. They are your margin FX provider. They’d be considered as counter party of your trade. What is the difference between all of this trick and types of business model and types of broker? If you’re in Forex to make money so it’s depending which broker you choose. Basically there are two main types of broker according to my point of view which comes from Dealing and Non-dealing desk. #Type 1 – Market Maker: Broker which comes from Dealing desk act as Market maker. They make money when you loose money, they loose when’re making money. So conflicts of interest there is because these type of broker can pull the price all the way down to stop loss and purposely make you get stopped up term (trade). #Type 2 – ECN & STP: Broker which comes from Non-dealing desk provide the ECN (to play short to play long basis), ECN is long form electronic process network. STP is Straight Through Processing. It means that they pass your order straight through to a liquidity provider which is for example like a bank so what happens is let’s say we make a bitrate they’ll pass you to a liquidity provider that will give you the best price. So the good news about STP is that there’s no conflicts of interest. They will provide both fixed and tight spread. They charge commission or take profit from spreads. 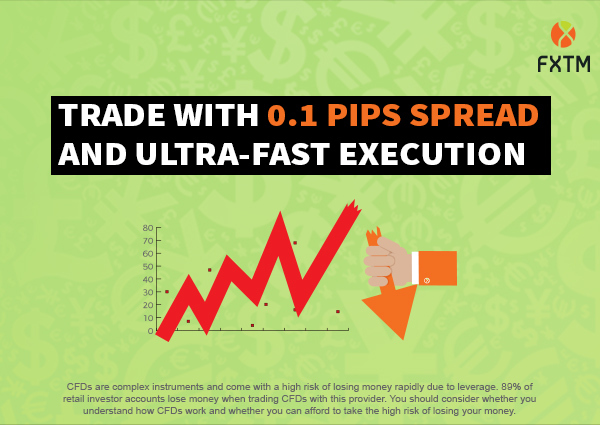 If you’ve a reliable broker that offers no spread, tight spread or fixed spread commission, you can choose to trade to make money online. If you don’t know how to choose a good broker then these 9 criteria below will help you to choose the right one. When you choose a regulated broker, particularly if it’s regulated in your country or regulated by trusted broker, you may feel safe. As I’m living in Bangladesh so whenever brokers regulated by authority of Bangladesh I would feel more secure. It’s more helpful to have a regulated broker staying in your country and have a chamber as well office to make any contact with them related to your trading and other question. These are high authority regulator you can see if the broker are authorized by. Also check if the broker authorized by and has more than one authority that regulated them. You also has to look if the authority has strong history and financial standings because if the company has problems with its assets and it doesn’t has enough liquidity guess what happen if the company collapse suddenly your funds also will go. The better the financial stability the better they are in business. Your authority might be different according to your country. Google it if you need to know the authority in your own country. When you place a trade whether a BUY or SELL execution of trade should be fast by broker. If after placing a trade your website or the trading platform shows behavior like loading and loading then that is not good broker. You need to make sure when you trade on any specific trading platform there is no freezing, no constant requoting if like that happen then it is a market maker and broker comes to loot your money. You also need to make sure the platform you’re using is strongly stable and there is no crash and issue. Simply start deposit with any trading amount to test them if any above things happen just leave them. Make sure that your broker offers you an own personal trading account. Make sure your broker offers the kind of leverage you’re looking for. Also make sure the broker you’ve an account offers margin requirement you’re looking for. So good level is between (30 – 50)% and of course depending on individual trader. It might be more or less. Also make sure your broker offers the Asset class that you’re interested to investing in or trading in. You need to make sure that your broker offers all the different lot size you will trade that you’re looking for ex: mini lot, micro lot and especially with very small account. The fourth of criteria is keeping low cost to start your trading business as low as possible. Some will cost a fixed spread, some will costs charge which is variable. The question is should you pick fixed or variable spreads? Answer is: It’s depends on you as trader. If you’re going to pick the fixed spread then there is no reason to go wider which is provided by broker in variable spreads. Think wise then choose which one suit best of you. The 5th criteria make sure your broker offers a very stable trading platform which is easy-to-use and user friendly. If you have most sophisticated broker in the world, most sophisticated user friendly trading platform for trading but if you don’t know how to use it little bit ex: buy and sell; then there is no point trading with that platform. If you’re an automated trader, make sure your broker offer automated trading services as well one click trading. “We’ve received your query, we’ll get back to you within three business days and even you don’t hear them in 4th and 6th days and if another day there is answer is: we’ll only be able to answer in working days then you need to change your broker because they’re not care about. They’re market maker comes to loot your money. As a trader, you should get fast customer service when you’re stuck in. – Fast and instant e-mail services. – 24/7 Phone call support. When you’re suppose to withdraw and get the funds within business days that means your broker is good. If your withdrawal takes more than 3 business days and awaiting you then something is wrong you need to make sure choosing this as your regular broker. If your deposit is faster than withdrawal should take same time or little bit more to rate this broker good. Also make sure that your trading account should be very similar as your bank account. – PayPal, Bank Account, Skrill and other electronic payment method that is secured. Also keep in mind that never use your credit card or debit card to deposit fund with broker; because if the broker is scammer then you will loose fund even the balance in your credit card account. So be careful before choosing a broker. Make sure that your broker offers very good educational and supporting materials mainly webinar, tutorial, seminar to attend every single month that also shows that they’re really care about their customer. The broker that provide you resource materials, tools which is helpful and useful for your trading that also shows you that they’re care about as a trader or person. If the broker you’re going to choose have a lot of bonus, if they’ve won industrial awards, if they’re ISO certified that shows they’re good broker too. The best broker you wants to pick on your choice and needs. If you’re interested in trading and looking for a broker then we’d highly recommend XM and FXTM. If you’re looking for FREE FOREX SIGNALS then you can join us on WhatsApp. To Join our VIP FREE SIGNALS group you must register as our affiliate so we earn some commission while you make profit. Thanks for read. Risk Warning: Your capital might be at risk when you’re investing or trading in Financial Markets. So be careful before begin your Forex journey. First learn and then earn. We do not encourage to invest we guide you.